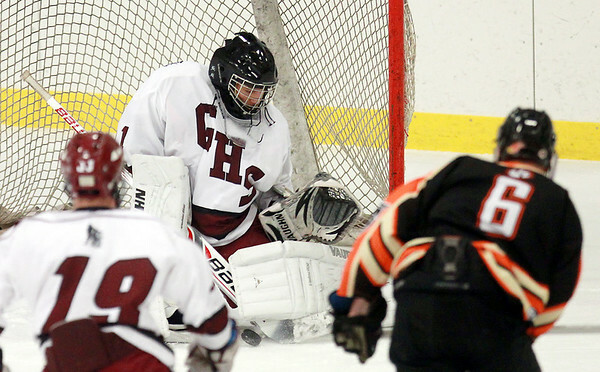 Gloucester goalie Derek Morris (1) makes a stick save on a point-blank shot by Beverly senior Brendan Boyle (6) during the first period of play. DAVID LE/Staff photo. 2/4/15.